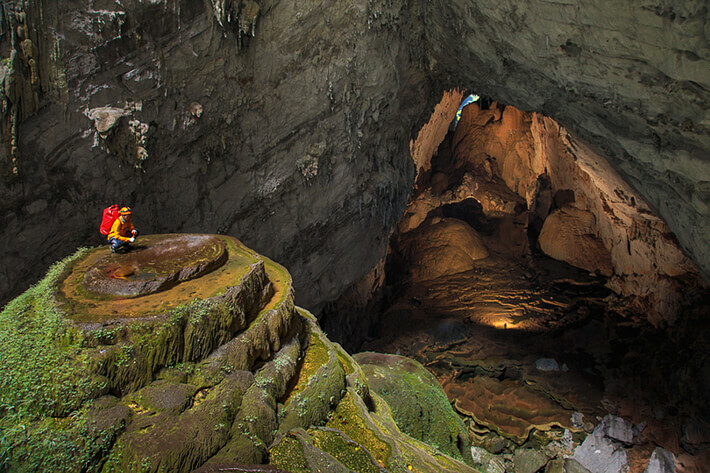 This beautiful area within Son Doong was named the “Watch Out For Dinosaurs” area. It is actually a large sinkhole, and the structure depicted here is a spiral stalagmite. As you can see, the stalagmite is huge and extremely high up.